Learn more about the many activities that we have at DinoTrek 2 below. These fun filled interactive activities that will keep you engrossed as you discover the lost world of Dinosaurs right here in Malaysia! This is just a preview of some activities and games that you can find at DinoTrek2. Come on by for the full Dino experience now! RRRROAARRRR!!! It’s a predator’s world out there, even during the Mesozoic era, when dinosaurs roamed the earth.Try your hand at being the PREDATOR dinosaur, and chase your prey as it scurries in fear of being your next meal! Think you know your dinosaurs? Well we’ve jumbled up a couple of dinosaurs in our Dino Puzzle game, and we need you to sort out the pieces and to put them in order. Play 2 different types of puzzles on our multimedia touch screens; a sliding-tile puzzle, and jigsaw puzzle. Solve up to 6 different challenges here and watch them come alive when you get it right! Try your hands at being a paleontologist at Dinotrek2! 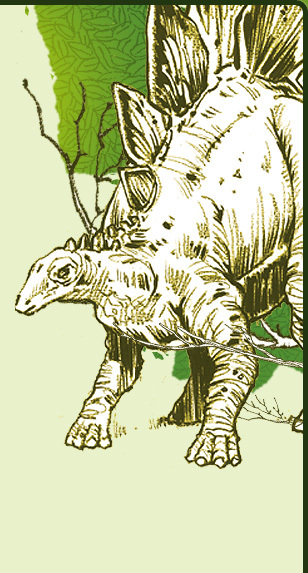 We've prepared a little excavation site where you can discover fossils, put them together and then guess the identity of the dinosaur that was immortalized in our site. Its Q&A time! Dino Quiz will challenge your knowledge with questions to test your general knowledge on dinosaurs as well as popular misconceptions about them. Just answer with a YES or NO only, and we’ll tell you right away what the true answer is, and why! Dare to try it? Dinosaur colours are not preserved in fossil remains, but experts theorize that, just like animals today, dinosaurs rely on different skin colours as camouflage to hide from predators, to attract mating partners, or even just for display purposes! We can never know for certain the colours that dinosaurs had, but with our Dino Colour touchscreen interactive game, you can decide what colours that you think the dinosaurs had in their time! Learn about the true facts about dinosaurs at this multimedia exhibit. Dino Quest shares information about selected dinosaurs; their walking cycle & speed; size; weight; where it lived; and which era it came from, as well as a virtual 360° view of these wonderful creatures.